The extreme right party collected 6.8 million votes in Sunday’s regional elections (13 December). With 27.39% of all votes cast, it beat its performance in the 2014 European elections by 2%. EURACTIV France reports. After regional elections marked by a surge in support for the French National Front (NF), in which the party still failed to gain any power, all eyes are already turning to the 2017 presidential campaign. With turnout leaping from 50.08% in the first ballot to 58.53% in the second, the voters handed power to the Republicans in seven regions of mainland France, and the Socialists in five. The National Front may have been kept out of power, but its figures tell another story. Ahead in six regions after the first ballot, the NF failed to capitalise in the north, where the party’s leader Marine Le Pen lost her one-on-one against Republican candidate Xavier Bertrand for Nord-Pas-de-Calais. The party fared no better in the south, where the leader’s niece, Marion Maréchal-Le Pen, lost out to Republican incumbent Christian Estrosi in the Provence-Alpes-Côte d’Azur region (PACA). NF hopefuls Florian Philippot and Sophie Montel also lost in the Grand Est and Bourgogne-Franche-Comté regions. The left, which mobilised its supporters to vote for the right in three regions where the NF looked likely winners, “did not suffer the predicted defeat”, according to the Socialist Party (PS) leader Jean-Christophe Cambadélis. It may have governed most of France’s old regions, but the PS won only five of the 13 new regions of continental France. The bedrock of its support is in the West, in Aquitaine-Limousin-Poitou-Charentes, Languedoc-Roussillon-Midi-Pyrénées and Brittany, where Jean-Yves Le Drian will combine his regional presidency with his position as minister of defence. The race was closer in the other PS regions of Centre-Val-de-Loire and Bourgogne-Franche-Comté. Corsica fell into the hands of the autonomist Gilles Simeoni, the mayor of Bastia. 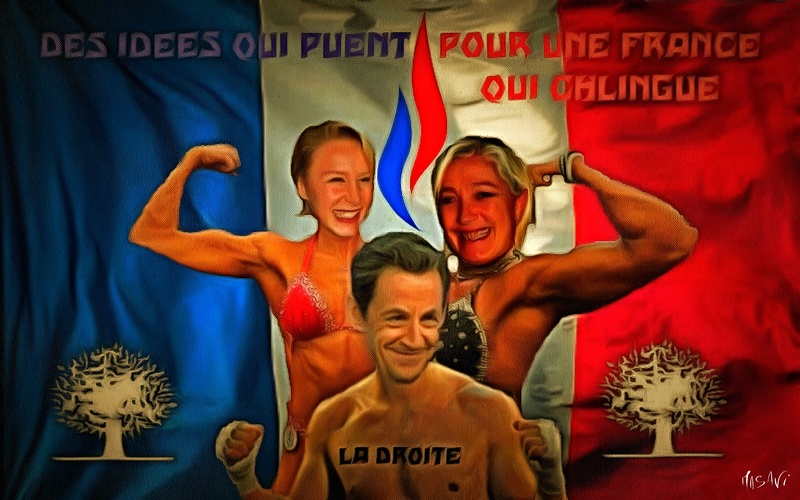 While it failed to turn the country blue, Nicolas Sarkozy’s Republican party, allied with the centrists, did win in seven regions, including Nord-Pas-de-Calais-Picardie, PACA, Alsace-Lorraine-Champagne-Ardennes, Auvergne-Rhône-Alpes, Pays-de-la-Loire and Normandy. But their sweetest victory was in the Île-de-France, the Parisian region governed by the Socialists for the last 17 years. Valérie Pécresse edged out her PS rival Claude Bartolone by 43.8% to 42.18%, with the NF collecting 14.02%. In the four overseas territories, the Republicans held Reunion and the left held Guyana, with Martinique and Guadeloupe changing hands. “This will force us to listen with greater attention to the French people, to act tirelessly, faster, to get more results,” Prime Minister Manuel Valls said, with a particular nod to unemployment. Cambadélis asked the French executive to focus its efforts on “creating work and fighting precariousness”, but also on “ending inequality”. On the right, Sarkozy promised to take into account “the warnings” sent out at the regional elections and to respond to “the big questions tormenting the French people”, like Europe, unemployment and security. In a warning to “all the leaders of the opposition”, he said that “unity and union cannot be circumstantial”. A few months ahead of the presidential primaries, some of the other contenders for the Republican nomination wasted no time in making their voices heard. For Bruno Le Maire, the French people expect “a different kind of politics” and want to see “new faces, including on the right”. The party’s number two, Nathalie Kosciusko-Morizet, criticised the “neither PS nor NF” line walked by the former president. Analysts have come up with various explanations for the National Front’s failure to convert its electoral success into political power. These include the electoral system, a “Republican front”, the mobilisation of the electorate, and a “glass ceiling” that prevents the party from winning in the second round of elections. As chance would have it, the last election in this presidential mandate took place exactly one month after the terrorist attacks in Paris, which left 130 people dead. The campaign was marked by this drama, and took place under a state of emergency, declared until the end of February. Monday morning’s papers heralded a “defeat for all” and an “election with no winner”. The left wing daily Libération summed up the feeling with the line “relieved, but”. L’Humanité welcomed a “citizens’ awakening”, while Guillaume Goubert, the editorialist for the Catholic paper La Croix, noted the “great feeling of relief among moderate voters”.